When you think of vitamin C, you might think of preventing sickness just orange juice, but the powerful nutrient is far more complex than a common-cold-fighter. 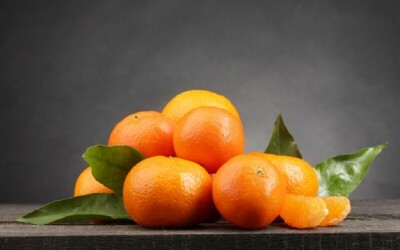 It’s estimated that vitamin C may be one of the most widely used single-nutrient supplement in the United States, ranking it among vitamin D, fish oil, and CoQ10. But, do we know why we need it and the consequences of not having enough? While most animals are able to produce vitamin C on their own, humans rest among the few that can not. Instead, we must obtain our vitamin C from foods. Individual vitamin C needs may differ widely from person to person. Similarly, your requirements can change throughout your life. In regards to vitamin C, we are all unique. WHFoods.com reports that the majority of dieticians who take vitamin C, take more than 250 mg per day. Many studies have suggested mega-doses of vitamin C to be particular potent in disease treatment and prevention, with few risks of toxicity. If you are concerned about not taking in enough vitamin C, don’t worry; there are many fruits and vegetables that offer this vitamin. You can also supplement, but be sure to take a vitamin C with rose hips and not an artificial, lab-created vitamin C.
If you drink smoothies, a kale and citrus smoothie will undoubtedly provide you with much of the vitamin C desired. A single salad for lunch can similarly boost your intake and subsequently, your immune health.